Be ar Lake School District in Paris, ID, has joined the Harris School Solutions (HSS) family by choosing McREL Power Walkthrough fortheir online observation needs. McREL Power Walkthrough is the classroom observation software designed to quickly and effectively gather classroom data and provide instant and formative feedback to teachers to inform practice and bolster their strengths in the classroom. The Idaho school district’s officials are excited to have access to the renowned McREL observation framework, as it is rooted firmly in extensive research and bases teacher development action plans on trusted, proven strategies from McREL’s popular books, including Classroom Instruction that Works. McREL Power Walkthrough is part of the McREL EmpowerED Suite — which provides tools for coaching, teacher reflection, and surveying — and can be purchased on its own or as part of the complete software package. 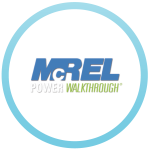 Want to find out how McREL Power Walkthrough can help your school’s or district’s teachers?